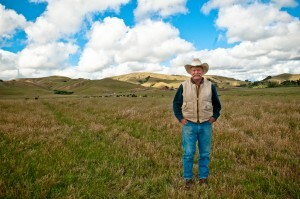 The Dolcini Family started ranching in California in 1870. Red Hill Ranch, one of many ranches purchased by the Dolcinis, has been in the family’s ownership for nearly a century. In 1918, Arnold Dolcini Sr. started a Jersey dairy at this ranch. 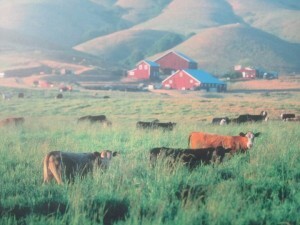 Later, Red Hill became home to Angus beef cattle, which today is the prominent focus at the ranch. 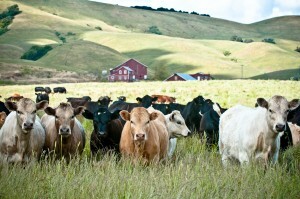 The Dolcini Ranch’s grass-fed cattle are raised in Marin and Sonoma Counties. The herd live a free-range lifestyle and graze on open pastures. The lush green grasses of the valley, combined with a perfect coastal climate, provide a natural and stress-free environment for the livestock. The cattle are never fed antibiotics, animal by-products, or any grain-based feeds. Additionally, the Dolcinis never use added hormones, growth stimulants, preservatives, or artificial coloring. Once cut, the meat is dry-aged for peak flavor and tenderness, just like a fine wine. Doug and Jim’s father, Arnold Jr., practiced pasture rotation in the 1950’s before the idea of sustainability became popular. Chemical fertilizers were never used because they destroy the natural process the family believes in so strongly. 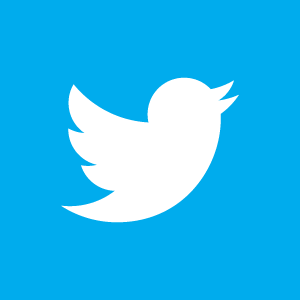 The nutrient-rich soil and plentiful grasses are naturally enhanced with the use of local chicken manure. Today, the same practices are followed to preserve the ranch land and allow it to thrive.